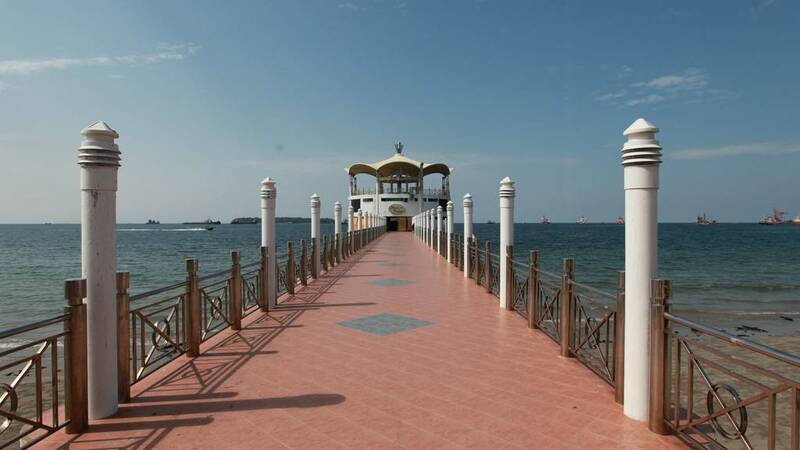 Travel to Labuan: Labuan also known as ‘Pearl of Borneo’ is a rather flat island of 95 square kilometers located at the northwest coast of Borneo, north of Brunei and south of Kota Kinabalu; capital of the state of Sabah. The name Labuan derives from the Malay word labuhan meaning anchorage. It comprises seven islands; Labuan, Kuraman, Daat, Rusukan Besar, Rusukan Kecil, Papan, Mayat and Burung. Though the island is mainly known as an offshore financial center, it also has quite a few nice attractions such as the World War II Memorial, the Peace Park and cemeteries of the fallen soldiers. 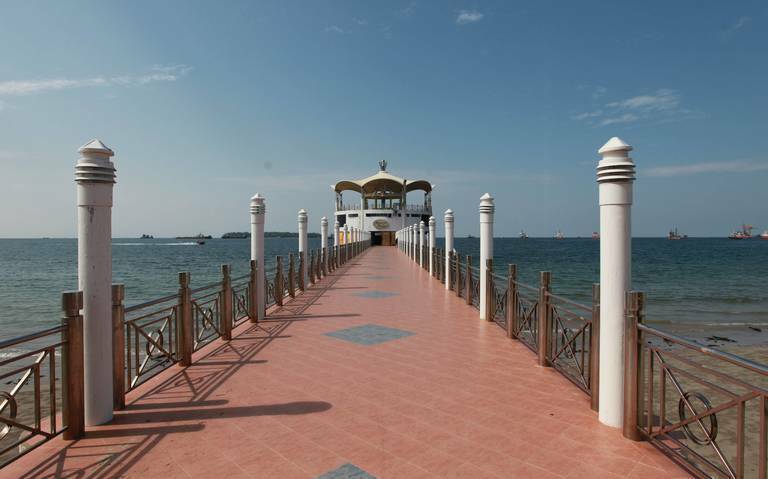 Other attractions are the Royal Navy Coaling station (the Chimney), Labuan Town, Labuan Museum, Labuan Bird Park, the Tanjung Kubong tunnel, the water village, Labuan Square, Bazaar Labuan wet market and international golf courses for golf enthusiasts. Popular activities on and around the island are fishing, wreck diving with four popular wreck dives: the Cement wreck, the American wreck, (the first USS Salute), the Australian wreck and the Blue Water wreck; snorkeling at the marine park, sun bathing at one of the beautiful beaches and exploring the island by bike or motorbike.